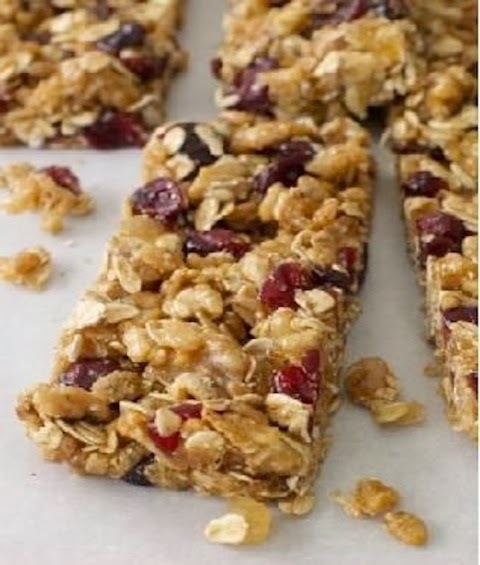 These granola bars are incredibly easy to make, packed with healthy ingredients and most importantly, they taste delicious. Theses are a great addition to a simple breakfast of yogurt and fruit or for a quick snack on the go! Also a great pack along snack for the kids lunch boxes. 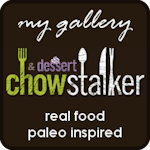 1/2 cup either ground flax seeds or brown flax seed meal Note: If you use the flax seed meal I would recommend the Bob's Red Mill brand. If you opt to use ground flax seeds instead you can save a few dollars and grind them yourself in a coffee grinder and store in an airtight container in the refrigerator. 3 tablespoons of Earth Balance buttery spread Note: The one in the red tub is gluten, soy and dairy free. 3/4 cup raisins Note: You can also use dried cherries or apricots. Preheat the oven to 350 degrees. With the Earth Balance butter an 8x12 inch baking dish and line it with parchment paper. Toss the rolled oats, pumpkin seeds and sunflower seeds together on a baking sheet and bake for 10 to 12 minutes, tossing occasionally, until lightly browned. Transfer the mixture to a large mixing bowl and stir in the flax seed meal. Place the Earth Balance, honey, brown sugar and vanilla in a saucepan and bring to a boil over medium heat. Cook for 1 minute, then pour over the rolled oats mixture. Add the dried cranberries and raisins and stir well. Pour the mixture into the prepared pan. Lightly press, using wet fingers, the mixture evenly into the pan. Bake for 30 minutes. Cool for several hours prior to cutting into squares. Serve at room temperature. Store in an airtight container in the refrigerator.